I went to less shows in 2011 but it was still another good year of live music. The year started off with a few good shows in the winter. Nostalgia was a strong theme for 2011 so it was appropriate that my first show of the year was Weezer performing Pinkerton @ the Aragon. Then I hit up a few TNK shows at Lincoln Hall and Schubas. Marketa Irglova was definitely my favorite of those. There was more nostalgia in February with the Dismemberment Plan reunion show at Metro. That D-Plan show was one of the best shows of the year. In March I went a little overboard. 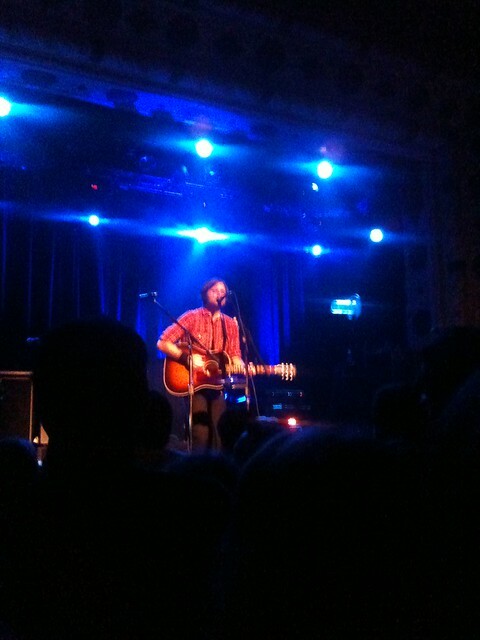 I started off the month with Rival Schools at Lincoln Hall, Iron & Wine at the Hideout, and Menomena at Empty Bottle. Then, of course, there was the yearly trek to Austin for SXSW. The standout show for me was the Lonely Forest at Klub Krucial. Then it was back to Chicago for Disappears @ the MCA followed by Rocky Votolato and Matt Pond at Subterranean. Things calmed down in April. 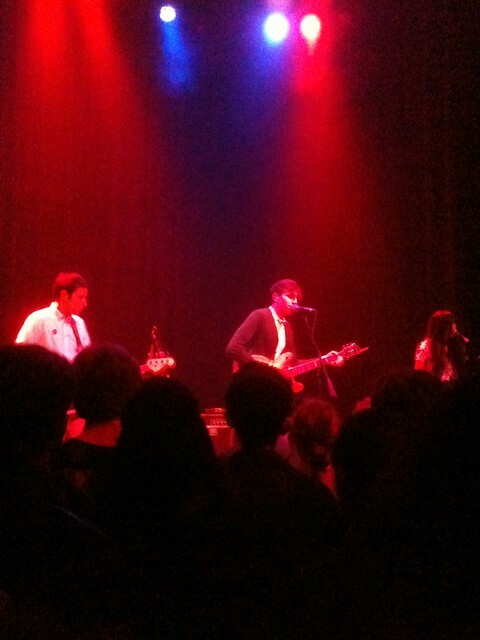 We saw the Lonely Forest when they played Lincoln Hall. They were opening for some other bands but we pretty much went to support those guys. Then I saw Arcade Fire at the UIC Pavilion. I don’t really go to arena shows but I managed to get a good spot and they played a great show. 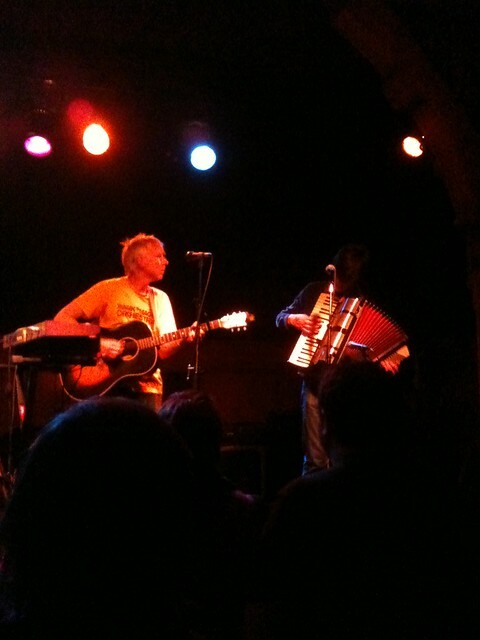 In May there were some great shows at Schubas. First there was John Vanderslice on the 2nd and then Ted Leo on the 5th. On the 20th, we went to go see Death Cab at Metro. That one was really pricey but it was well worth it. That band rarely plays smaller shows so I felt compelled to go. June was a great month. We flew to San Francisco for the Asian Man Records anniversary party. I still can’t believe that I saw Slapstick and the Broadways. 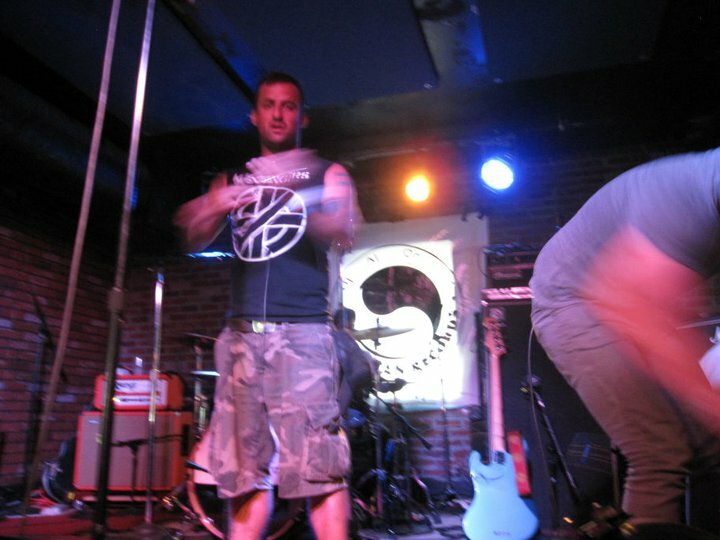 Sundowner and Brendan Kelly also put on good shows. That was definitely one of the highlights of the year. On the 26th was Green Music Fest. The Thermals put on a good show but Les Savy Fav put on the most memorable show of the year. Tim Harrington pretty much lost it and everyone loved it. I’m a huge Sundowner fan so I saw him again in July for the vinyl release of Four One Five Two. I can’t mention July without mentioning Pitchfork. It wasn’t as great as last year but Dismemberment Plan and Fleet Foxes were great. 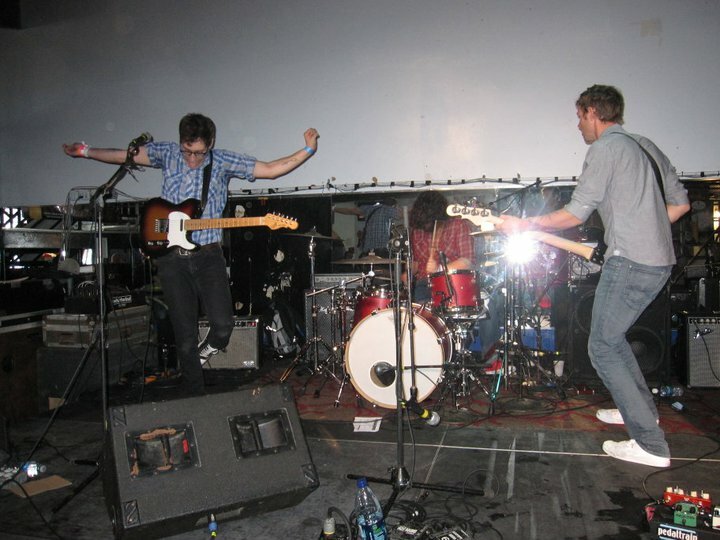 I also became obsessed with Wild Flag and saw them at Subterranean and Wicker Park Fest. I also saw Ted Leo & the Pharmacists at Millennium Park. August featured two good shows at Metro courtesy of the Hold Steady and Braid. The highlight of September was Andrew Bird at the Hideout Block Party. Then I took a month off of shows in October. In November, we saw We Were Promised Jetpacks at Metro. They got a lot more popular since they played Empty Bottle last year but it was still a great show. 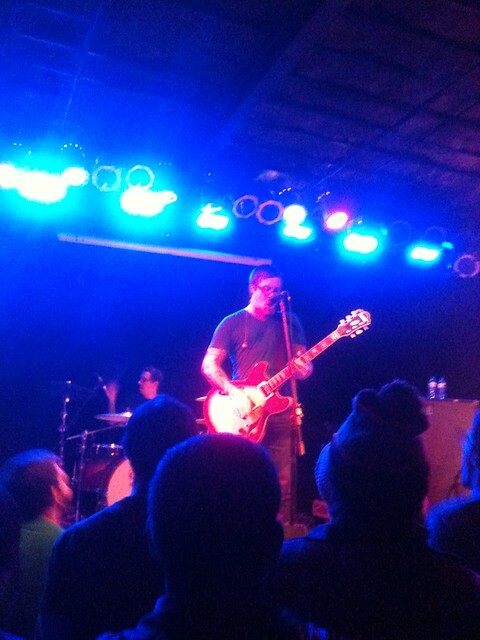 November also featured a nostalgia show, Hot Rod Circuit at Bottom Lounge. In December I rested. The end. Think of your top 5 favorite bands. Do you remember the first time you heard them? Describe it. What song was it? When was it? Etc. Did you like it? Yes, that bass line rocks. Which is kind of weird because I don’t think Alkaline Trio normally has bass-driven songs like that. How’d you hear it? This girl made me a mix tape and this song was on there. Did you like it? Yes, it’s a slow song but it’s definitely good. At the time, high school me thought it sounded like Smashing Pumpkins. Did you like it? Not at all, I was fan of the Broadways but this song just left me disappointed but I like it now for some reason. How’d you hear it? It was on this Blindspot Distribution CD Sampler. Did you like it? Yeah but it was kind of weird. The bass line does rock though. It definitely wasn’t like any of the music I was listening to at the time. I got the sampler at a Less Than Jake show if that provides any context. How’d you hear it? I bought the CD and it’s the first track so yeah. Did you like it? Yeah, it was good. I definitely liked this band from the start. High school was filled with lots of Get Up Kids. I went to a lot of good shows in 2010. I got to see some good bands for the first time (and often a second), but I also got to see some old favorites again. I went to some pretty big music fests like SXSW and Pitchfork but I also went to a few tiny living room shows. Overall, it was a good year of live music. I saw a ton of shows in 2010 but some certainly stand out more than others. The first third of the year had a few standout performances. In January, I saw Sundowner @ Beat Kitchen. 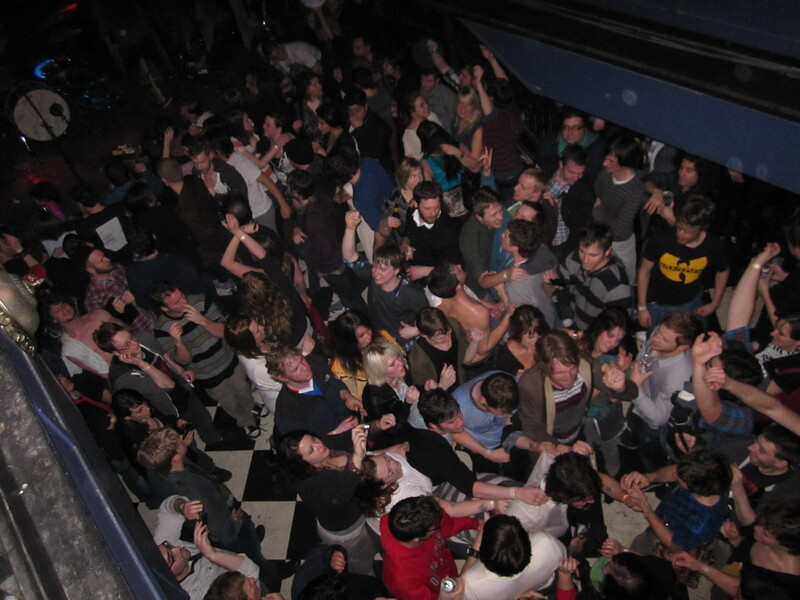 After that, I remember spending a lot of time at Lincoln Hall. In March, SXSW dominated what I listened to in terms of live and recorded music. Moreover, it was more than shows in Austin, there were a fair number of shows that I saw in Chicago that served as preparation for SXSW. 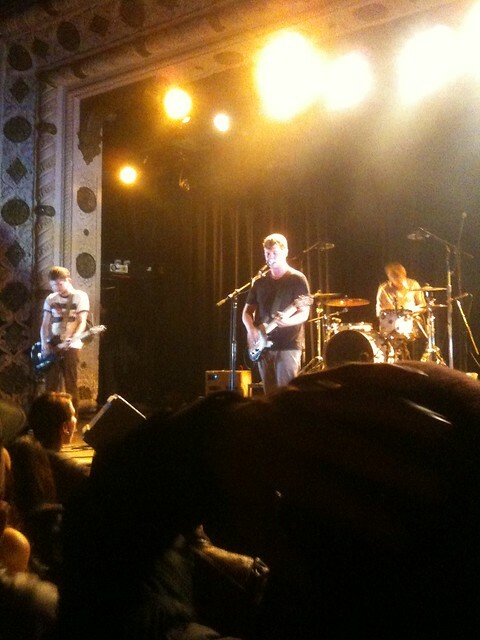 I saw We Were Promised Jetpacks with the Lonlely Forest and Bear Hands at Lincoln Hall. I saw Sondre Lerche put on two amazing performances, one in Chicago and one in Austin. I also got to see Japandroids twice. I saw Rogue Wave for the first of many times at Red Eyed Fly. I also got to see Savoir Adore and The Middle East for the first time. After all that, thing settled down a bit. 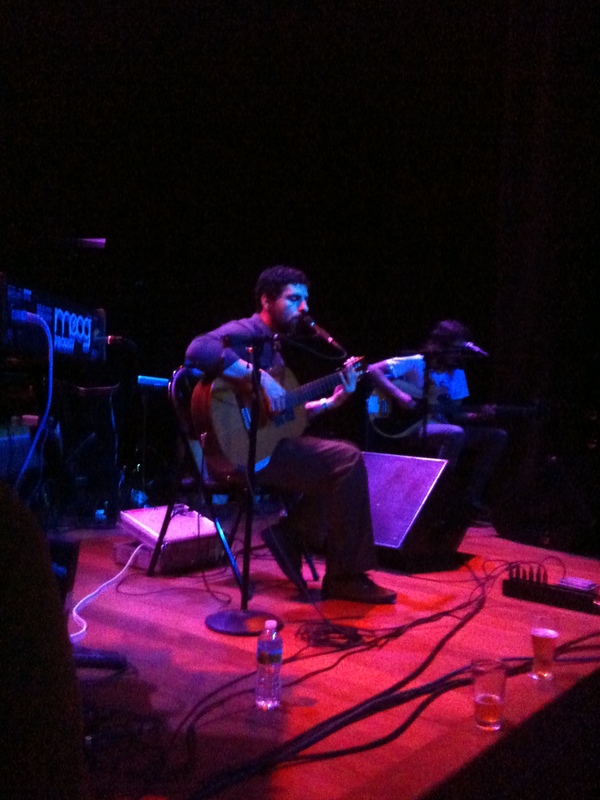 In April, the Antlers put on a live show at Lincoln Hall that took their album to a whole new level. 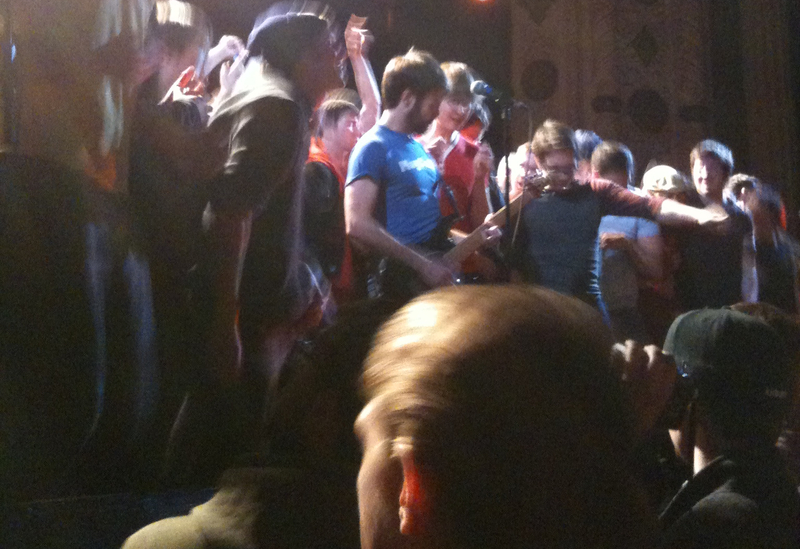 In May, getting to see Voxtrot’s final Chicago was both fun and sad at the same time. 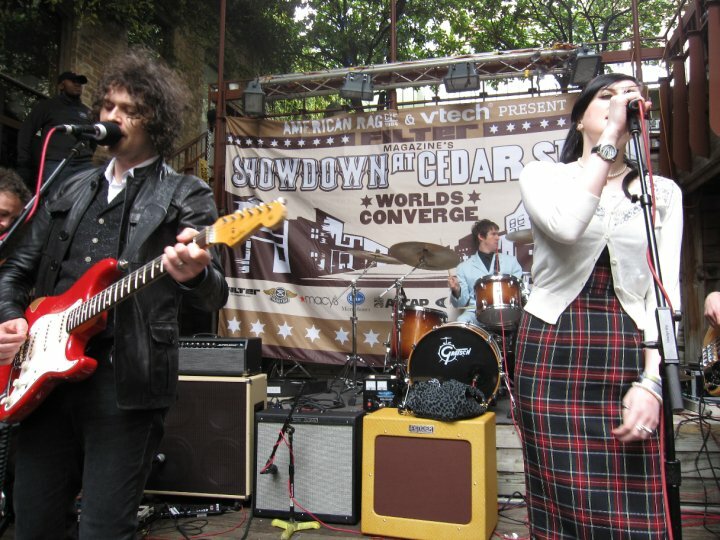 The next day I saw the Dead Weather play a “secret” show that included free booze and a solid performance. The summer was filled with a lot of festivals and a ton of music in general. I saw the Good Life play Subterranean but I don’t really remember that one. I saw two good shows at Lincoln Hall by Junip and Matt Pond PA. Superchunk rocked the Taste of Randolph in June. The Tie That Bands played a benefit show in Houston, which was both nostalgic and energizing. July started off with two classics. I saw Rocky Votolato play an intimate living room show on July 3rd in Pilsen. Passion Pit’s July 4th performance at Grant Park was surprisingly fun despite the oppressive heat. July also included a double a dose of WWPJ and 3 days of fun at Pitchfork. LCD Soundsystem at Pitchfork was probably the performance of the year. 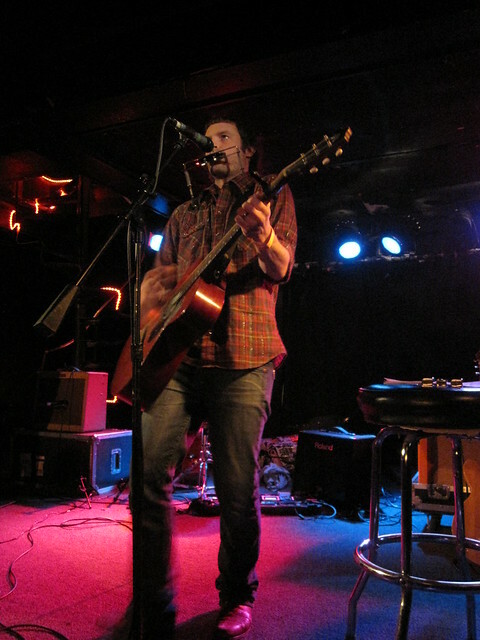 One of the more interesting shows was Tim Kasher @ Tonic Room on July 27th. 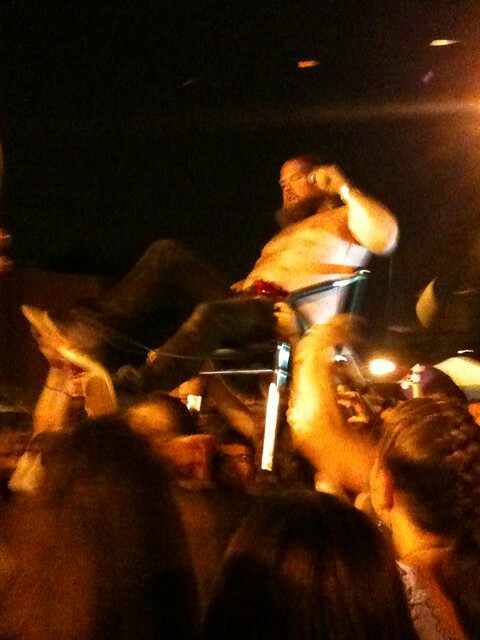 Then, at the end of July I headed out of town to see the Dead Weather in Detroit. As for August, I skipped Lollapalooza but I did catch some good aftershows by The New Pornographers, Rogue Wave, and The Black Keys. Later that month Sundowner had their record release show at Subterranean and gave their best performance ever. In September, I got to see the Tallest Man on Earth at Park West, my favorite place to see Scandinavian singer-songwriters. Later that month, Deerhunter played a free show under the Ohio St. underpass on the coldest day of the month. On September 28th, I rushed to Lakeview after work to see Tim Kasher play an in-store at Reckless. The shows kind of slowed down after the summer. I got to see Bad Religion for the first time since high school in early October. 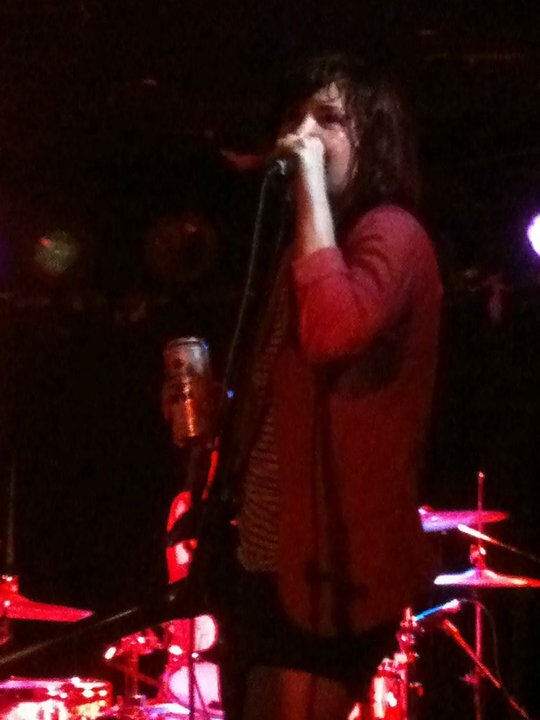 It was pretty cool seeing Blake Schwarzenbach’s new band, forgetters on October 12th. I really enjoyed the double bill of Rocky Votolato and Ha Ha Tonka at Beat Kitchen. On October 22nd, I took the train up to Milwaukee to see Hot Chip and get my LCD Soundsystem fix. November was kind of slow. There was a strong dose of dance pop; I saw Yelle play the Echo Plex in L.A. and Robyn turned Metro into Lakeview’s biggest gay bar. November also featured a strong performance by Tim Kasher at Schubas. December had a few standout shows. There were two unique ones, with Matt Pryor playing a living room show in Logan Square and Andrew Bird playing at Fourth Presbyterian Church. I finished the year with some old favorites. On December 30th, Tim Kasher and the Hold Steady played Lincoln Hall. THS were amazing, playing one of their strongest sets at my favorite venue in Chicago. On the final night of the year, I saw Cursive at Subterranean. The drunken energy in that place was insane. It was a great way to end the year.